Looking for deals in Rotterdam? Situated in the Rotterdam City Centre district of Rotterdam, CityHub Rotterdam provides rooms with free WiFi. Is an interesting concept, they really cared about the design so capsules and common areas are confortable and look nice! Enough privacy and quite ok with sound proof. They have an innovative self-checking system but also there is always a nice stuff to solve your questions. Located in the heart of Rotterdam, The James Rotterdam is located in the middle of vibrant streets like the Coolsingel, the Meent and the Lijnbaan. Great location, very close to the centre. Extremely polite and helpful staff. Great service, helped us keep our luggage for a few extra days for 0 costs, this allowed us to travel around without worrying. They have a very nice store on one of their floors where you can buy essentials and some food and drinks at supermarket costs, and then hang around with those in a fancy lounge like space. The gym was good as well. The Television in the room was super fancy, accepting Netflix App was a bonus for us :) All in all, really enjoyed the experience, excellent value for money and would recommend this place to travellers! Located in the Feijenoord district Room Mate Bruno is a boutique hotel set in a former tea warehouse of the Dutch East India Company in Rotterdam. It's very good for relaxing because to it's really quiet. I love the list count of minibar items, which makes my checkout much easier and didn't have to wait. In the Oude Haven (Old Port) Rotterdam, the brand new citizenM Rotterdam is a stylish contemporary hotel which is right in the center with views of the city. Everything! I would recommend this hotel to anyone staying in Rotterdam! Experience a charming stay in the characteristic Hotel New York in Rotterdam. This former head office of the Holland America line offers skyline views and authentic decorations. Large spacious room. Great ambience and location. Traditional trimmings are enhanced with contemporary comforts in this luxury hotel, where the hospitality is top-notch and so is the view. Great location, excellent room, staff were very helpful and went out of their way to assist. In the heart of Rotterdam, Holiday Inn Express Rotterdam – Central Train Station is right next to the center of the city shopping area. Yes the beds were very flyffy . ss Rotterdam is a former Holland-America line ship offering rooms next to the harbor in the Katendrecht area. I've been here more than once, the staff is always great. Food is good and service is great. This hotel is located in Rotterdam, just 0.8 mi from Rotterdam Central Station and a 5 minutes walk from the city center and has high-speed WiFi available throughout the hotel. The staff was very welcoming, the room was spotless and the internet was great. Very well located. Hotel Light is located in the heart of Rotterdam, near museums and shopping streets. It is tastefully decorated and features a lounge. Central station is located 0.7 mi from the accommodations. Lovely designed boutique place with great staff. Experience the hip and trendy design concept of the STROOM hotel, which is located in a former power station and located in the Delfshaven harbor district of Rotterdam. Location for what we needed was perfect. Situated in renovated 18th-century shipping offices, this hotel offers boutique-style rooms just a 10 minute walk from central Rotterdam. The room was spacious and had a great view! Hotel Santa Maria is located in Rotterdam at 1640 feet from Erasmus Bridge and Rotterdam Wereldmuseum. Free Wi-Fi access is available. Rooms here will provide you with a TV. Excellent hotel at a reasonable price. Clean, comfortable, quiet, small bar, great location. Located on the Wilhelmina Pier in the building 'De Rotterdam' with views of the river Maas and the city skyline, nhow Rotterdam offers rooms with free Wi-Fi. The place as such is amazing! Hard to say which is my favorite part. Located just outside the center of Rotterdam, The Student Hotel offers stylish accommodations including free WiFi and a restaurant on site. excellent hotel. courtesy, quality of sleep. Located in the cultural district of Rotterdam with Museum Boymans and the Art Hal at a walking distance, Hotel Bazar offers rooms in Oriental, African and South-American style. The rooms were very fun. Great bed and great breakfast, served all day. Conveniently located just 1.6 mi from the city center and Rotterdam Central station, Van der Valk Hotel Rotterdam - Blijdorp provides modern decorated accommodations. All rooms come with free WiFi. Convenient to get in and out of Rotterdam. Loved that we could rent. Ike’s right at the hotel. Novotel Brainpark is a modern 4-star hotel, only 13 minutes by car from the center of the city. This place is fantastic. 5 minute walk to the tube. Located at the Rotterdam The Hague Airport, Worldhotel Wings offers hotel rooms with free WiFi access. A restaurant is available on site. Since we came in late it nice that we could have a drink at the bar. Christina Onassis Yachthotel is a 105 feet long yacht located in Rotterdam. This superyacht includes a breakfast and lunch restaurant, bar and multiple sun decks with chairs. Free WiFi is provided. Everything except the weather. The Hotel Emma is a small and friendly hotel, perfectly situated in central Rotterdam - just a 7-minute walk from the Central Train Station. It benefits from free Wi-Fi. Great location close to the center, everything in walking distance from the hotel. Rotterdam Marriott Hotel offers elegant rooms with modern facilities in the Millennium Tower, directly opposite from Rotterdam Central Station. Guests can enjoy the on-site bar Pillars Bar & Kitchen. Breakfast was tasty and I liked the view from the dining area. At 328 feet high, the luxurious Euromast suites tower over Rotterdam. Both feature a private balcony offering spectacular views of the city center and the harbor. Best Western Plus Rotterdam Airport Hotel is conveniently located at 2297 feet walking distance from Rotterdam The Hague Airport. Perfect location, quick check in and comfortable rooms. Hotel Port is a modern hotel just a 10-minute drive from the center of Rotterdam. The luxurious hotel rooms provides a lot of comfort and has a work desk. The location is good: good access to public transport, near there was supermarket. How much is a hotel in Rotterdam for this weekend? The average price per night for a 3-star hotel in Rotterdam this weekend is $226 or, for a 4-star hotel, $267. Looking for something even fancier? 5-star hotels in Rotterdam for this weekend cost around $372 per night, on average (based on Booking.com prices). 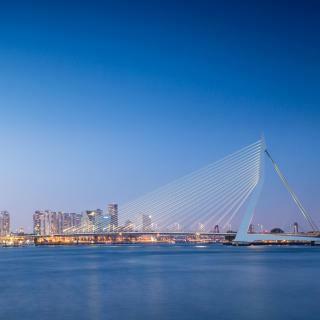 What are the best hotels in Rotterdam near Rotterdam The Hague Airport? Travelers who stayed in Rotterdam near Rotterdam The Hague Airport (RTM) have said good things about Worldhotel Wings, ibis budget Rotterdam The Hague Airport, and Best Western Plus Rotterdam Airport Hotel. 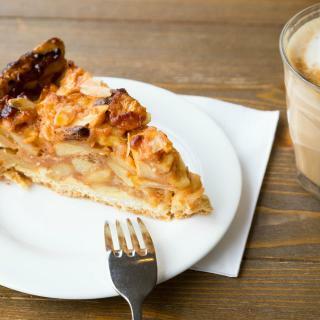 Which hotels in Rotterdam offer an especially good breakfast? 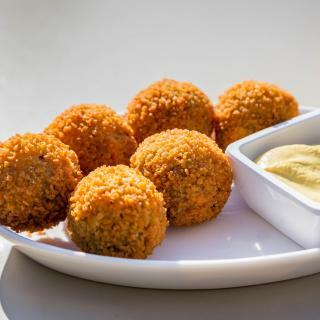 For hotels in Rotterdam that serve highly-rated breakfasts, try Room Mate Bruno, Hotel Bazar, and Hotel Orion. Which hotels are the best ones to stay at in Rotterdam? The James Rotterdam, CityHub Rotterdam, and Room Mate Bruno are some of the popular hotels in Rotterdam. Which neighborhood is the best one to stay at in Rotterdam? Rotterdam City Center, Delfshaven, and Overschie are popular with other travelers visiting Rotterdam. Which hotels in Rotterdam have nice views? 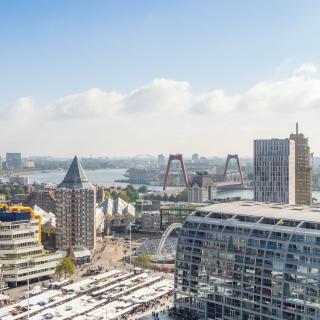 Novotel Rotterdam Brainpark, nhow Rotterdam, and Mainport Design Hotel got great room view-related reviews from travelers in Rotterdam. How much is a hotel in Rotterdam for tonight? On average, it costs $100 per night to book a 3-star hotel in Rotterdam for tonight. You'll pay around $130 if you choose to stay in a 4-star hotel tonight, while a 5-star hotel in Rotterdam will cost around $218, on average (based on Booking.com prices). What are the best hotels in Rotterdam near Feijenoord Stadium? Some of the best hotels in Rotterdam near Feijenoord Stadium include Suitehotel Pincoffs, Christina Onassis Yachthotel and De Gaanderij. Which hotels in Rotterdam are good for families? Many families visiting Rotterdam loved staying at Room Mate Bruno, Mainport Design Hotel, and citizenM Rotterdam. Which hotels in Rotterdam are good for couples? These hotels in Rotterdam are highly rated by couples: Christina Onassis Yachthotel, Suitehotel Pincoffs, and CityHub Rotterdam. How much does it cost to stay in a hotel in Rotterdam? On average, 3-star hotels in Rotterdam cost $96 per night, and 4-star hotels in Rotterdam are $120 per night. If you're looking for something really special, a 5-star hotel in Rotterdam can be found for $223 per night, on average (based on Booking.com prices). Featuring Europe's biggest port, Rotterdam mixes typical old canals with 21st-century architecture. Home to a multicultural community due to it's international trade, this city also houses important cultural institutions like the Erasmus University and the Museum Boijmans Van Beuningen. 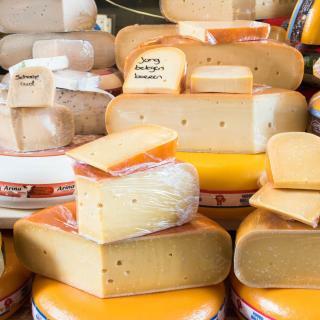 Including bustling terraces and exotic restaurants, Rotterdam resembles a global bazaar! Known as "Manhattan on the Meuse River," Rotterdam is a haven for architects and the city’s skyline includes the Cube Houses, the Erasmus Bridge, and brand new "Kop van Zuid" business area. Energetic and sparkling, the center of the city is a shopper's paradise: the Cool District has modern shops and department stores on streets like the Lijnbaan and Hoogstraat. Don’t miss the exclusive Van Oldebarneveltstraat if you prefer small and trendy boutique shops. The Maritime Museum offers an open-air collection of ships, cranes and machinery. Moored on the south bank, the transatlantic liner SS Rotterdam is also worth a visit. Before landing at The Hague Rotterdam Airport, be sure not to miss the views of the buzzing harbor from the airplane. Whether you’re looking for a cozy B&B or a hip hotel made of glass and steel, Booking.com offers a wide variety of accommodations in the "World City. the city is too large to walk, the coolsingel area is just an outdoor mall with crappy fashion brands. biljdorp area was cooler, great ethnic food though! not very friendly...or unfriendly just blah. Rotterdam is a great eclectic relatively new city in the Netherlands with lots of tall glass buildings and modern architecture. The ss Rotterdam is a great ship to visit for dinner, and nhow rooftop bar is another amazing place for a late night drink and hanging out on the terrace with amazing city views. Spido operates a great tour boat service which I have been on several times with different friends and family. Amazing city, lively, taste food, friendly people and well organized. Easy to walk or if you do prefer take the public transportation. 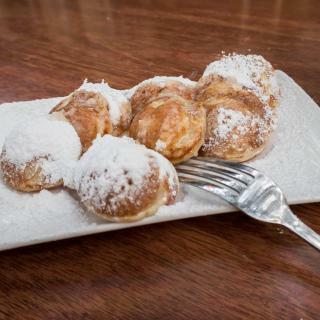 Must to visit the Witte de Withstraat, good restaurants and pubs. IT WAS A MODERN CITY . IT WAS A MODERN CITY . I REALLY ENJOY CYCLING AND WALKING IN THIS BEAUTIFUL CITY . THE ONLY POINT WHICH I DIDN'T LIKE WAS THE FLATNESS OF THE CITY . I USED TO SEE MOUNTAIN AND HILLS BECAUSE I LIVE IN TEHRAN. Clean, modern city close to the popular Amsterdam. Clean, modern city close to the popular Amsterdam. You only need a few days here but it is definitely worth checking out. The market hall is a must to try any cuisine you could think of and the surrounding area is also great. So close yet so different to Amsterdam! Nice city to start your trip with! Centrally located small and cozy hotel from short walking path to Rotterdam Centraal station. Nice location by an avenue with a parky surrounding. A decent level supermarket is only few minutes by walking. Room was modern and furnished with a style. Own balcony was a huge plus since wether was nice at the time of my stay. A basic level breakfast is available at the restaurant room dowstairs. If you visit Rotterdam this is the place to stay. Perfect location, close to supermarket, restaurants, shopping. the staff was amazing, professional and very helpful. The apartment was super clean and beautiful. I travel a lot and this is one of the best places I have ever stayed. A hotel service with a home feeling. The hotel room was amazing, the staff were friendly and polite. I thoroughly enjoyed the Snack Platter which you can get in the Captain's Lounge or Terrace Lido. 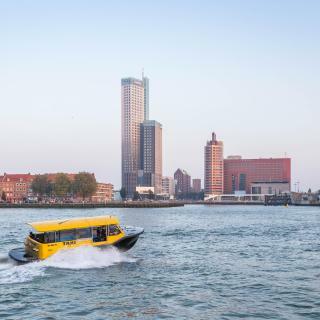 There is a regular hotel shuttle bus that takes you to the nearest station Rijnhaven. From Rijnhaven it's a few stops on the Metro to Rotterdam Centraal. First of all, bed was amazing. Room was comfortable, but small. It’s a budget hotel with a great breakfast (There is a machine you can make your own waffle). You can easily walk to Rotterdam Central and the city center, or basically use the tram station right in front of the hotel. Staff is very helpful about everything. The room was large with a balcony. The bathroom was decent size usual facilities. Hotel itself was a 5 minute walk from Rotterdam central, and around 15-20 minute walk to the city Centre. Staff always had a smile and welcomed us. Awesome location for tourists with no big expectations of hotel - in the center of day&night life of Rotterdam. Cheap enough, not bad breakfast, friendly staff, clean bed and washing place. Towels, tv, wifi in place and ok.
It’s perfect .it’s not the first time i go there! Everytime i have to stay in Rotterdam, is in Mainport.It is confortable and clean. With a very good spa. Hotel location is in the heart of Rotterdam. 10 minutes walk from central station. Good restaurants, bars and supermarkets are nearby. We’ll be back. Nice hotel in great location near city center. Easy to navigate to and from. Very friendly and helpful, bilingual staff. Located right at the heart of Rotterdam. Perfect budget hotel for exploring all this wonderful city has to offer. The only good thing in the hotel was its location. It is really very close to the Rotterdam city centre. Convenient to get in and out of Rotterdam. Loved that we could rent. Ike’s right at the hotel. Everything! I would recommend this hotel to anyone staying in Rotterdam! Close to airport and Rotterdam. A place to recommend definitely, a whole package " location, property, staff, quietness & the tour offer by the hostel is was very good : thx hassan :) " Besides the breakfast is very good. excellent hotel. courtesy, quality of sleep. Sure, the next time, I''ll booking at the student hotel! perfect host's, superb location and accommodation. Would definitely recommend.